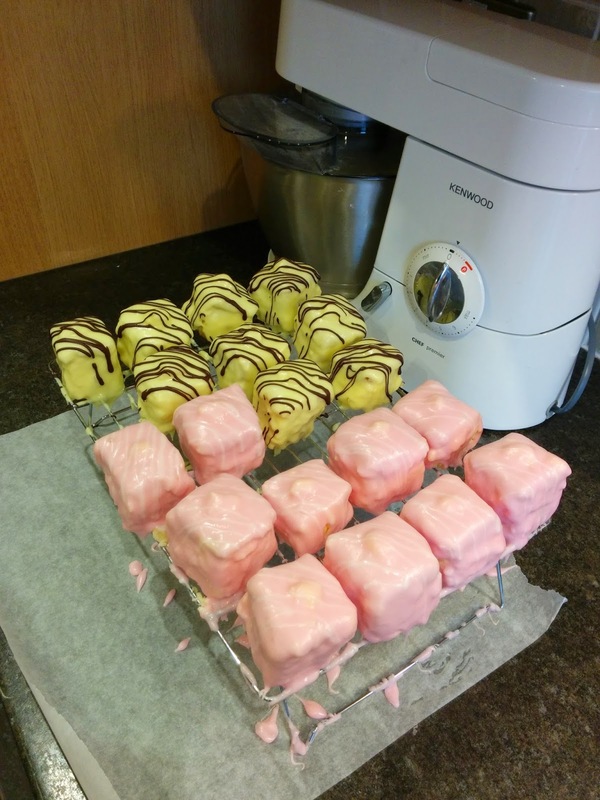 There seemed to be quite a lot of parts to making them, sponge, marzipan, buttercream, icing chocolate finish and the last few parts were messy. All in all, I was glad that I'd made them, but they were a bit of a messy faff on. I'd eaten that many bits of offcuts and "testers" I didn't really want any, so my colleagues were treated to Loopygirls Fondant Faff-ons. They got the thumbs up.